Flappy Bird is just yet another game trend around the world, and especially among the smartphone users who are using heavily social networks. 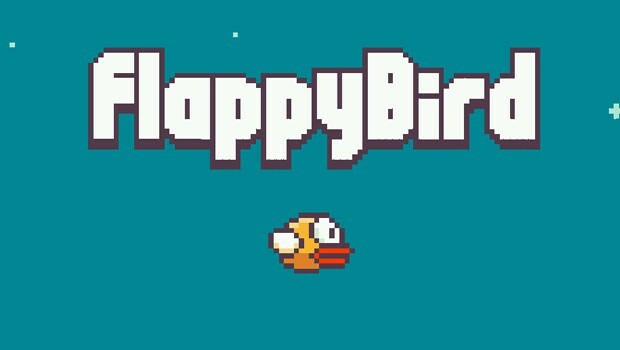 Flappy Bird has made several social waves around the world, and sold out every other thing with its simplicity, or you can say that with stolen graphics from a popular game. Flappy Bird does not require any kind of introduction, but still here is a complete walk through of the game on how to play flappy bird perfectly. It is just a collection of notorious pixels on smartphone screens that cannot let users win the game or score higher in the game. The developer has already decided to take the game offline from App Store and as well as from Google Play Store. Flappy Bird is a game made for iPhone and iPad in which you are controlling a bird and trying to get a high score. The controlling of the bird is done by simply taping on the screen (every time you tap the bird is going up a bit), but if you want the bird to fall down you just don’t touch the screen. There are some obstacles which won’t let you fly everywhere (the green tubes)-when you bump into one of these, it is game over. The green tubes are placed on the top and on the bottom of the screen so you can’t pass to the next point (every time you pass a pair of green tubes, you are getting one point to your final score), at least you fly through the little space they have left for you. The speed of the bird doesn’t change no matter in which level of the game you are. A lot of people around the world are trying to get score as high as possible, but they always seem to fail. That’s why they need to know some tips and tricks which will help them achieve higher results. There are no many tips and tricks for this game because it’s so simple, but clever usage of game mechanics is never a bad thing to do. You need to concentrate in the game and to predict how much lower or how much higher the bird will go, so you can pass without hitting any of the obstacles. A very useful trick is that, you don’t have to watch the green tube on the top of the screen, only the one at the bottom and touch the screen only when the bird is really close to it. That helps you to concentrate even more because you don’t have to keep you attention on the both tubes. And this works because if you tap on the screen only when the bird is really close to the bottom tube you won’t touch the tube on the top too. The tricky part of understanding the game is that you have to know that the bird has a long neb. In order to become a better player and actually get those high scores, you have dreamed of, you have to know that when they bird is falling her neb is actually under her body. But the game still counts every single touch as a fail, so it doesn’t meter with what you touch the pipe, it’s game over. 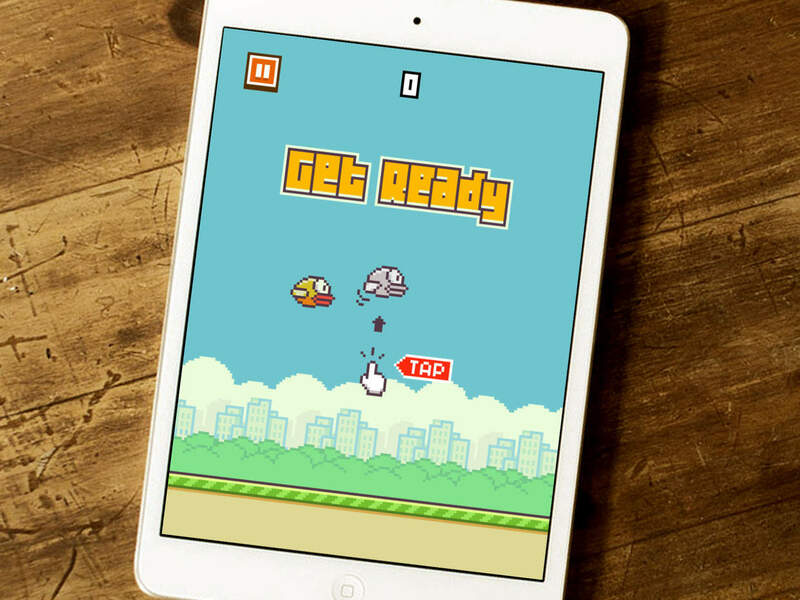 Flappy Bird is the most popular game for tablet and smartphone right now. This deceptively simple, wholly unoriginal, and punishingly difficult arcade game got to the top of the App Stores “free” chart for only two 2 weeks. The key to the success of Flappy Bird is how simple it is. This game is available on the App Store 100% free and it only takes 2.2 MB memory to be on your device (the average app nowadays is 23 MB). The time to download, install and start playing the game takes just a few seconds. Another reason for this game to be so popular is that it’s fun and easy enough for all generations. The struggle to win is that what keeps people playing it. The fact that the game is so simple makes people think that it’s easy too-but it’s not. People are addicted to this game so much that they try to beat their high score in every free minute they have. This game wouldn’t be so popular and successful if it wasn’t for the people who are sharing it. They do spread the word about the game by mouth, sharing in social medias or phone systems.